The De Tomaso brand was an Italian sports car manufacturer based in Modena – the home of Italian sports cars. Alejandro De Tomaso was Argentinean of Italian heritage and it is rumoured that he did a runner from Argentina after being implicated in a plot to overthrow Juan Peron, the President at that time. His father was a politician and his mother’s family managed a huge agricultural business. Regardless of that being true or not, De Tomaso was a mechanical engineer and wanted to build race cars with the Maserati brothers. 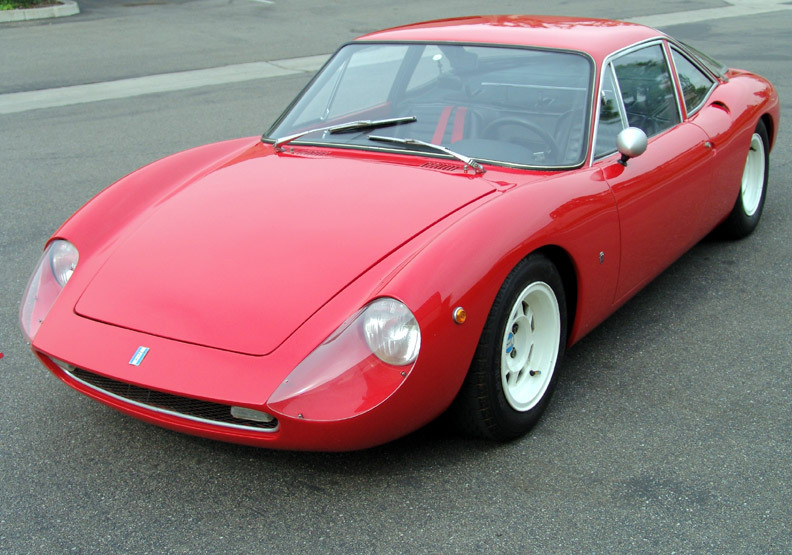 De Tomaso was also an accomplished racer and even competed in two F1 races towards the end of the 50s. He even built some F1 cars (designed by Dallara) that Frank Williams campaigned. The team had little success and some sadness as Piers Courage was killed in one of the cars at the Dutch GP in 1970. 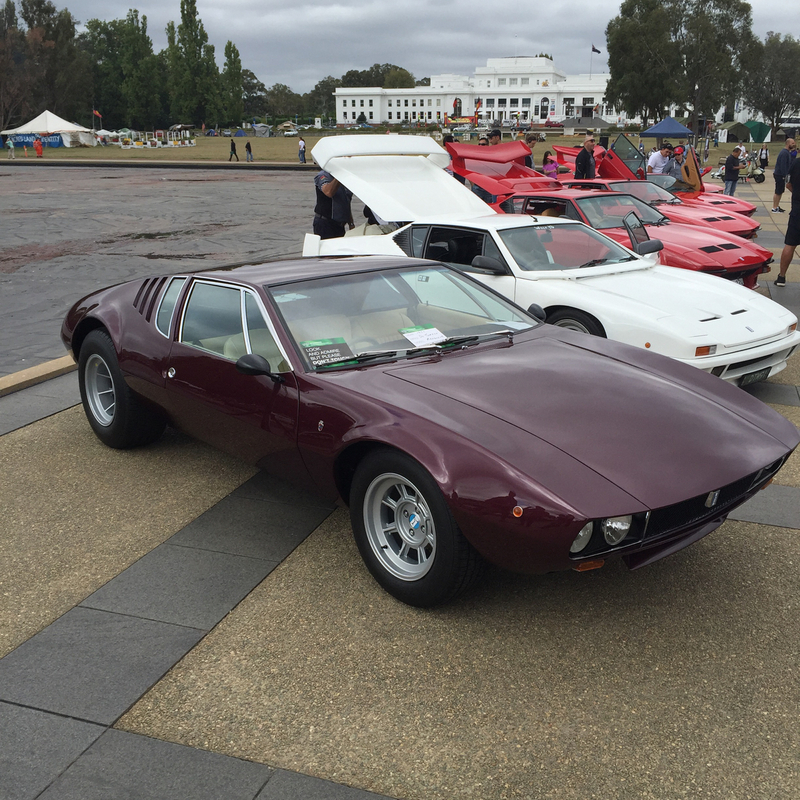 With regards to road cars, De Tomaso Automobili was created to develop sports cars using an aluminium chassis and they also built luxury saloons as well. De Tomaso built quite an empire, buying coachbuilders like Ghia and Vignale, car makers Innocenti and Maserati and even motorbikes – he owned Benelli and Moto Guzzi. He sold Ghia to Ford – hence the Ghia badge on many Ford models and he sold Innocenti and Maserati to FIAT but not before saving Maserati from being shut down by Citroen whom he bought the company from. His first road going car was the Vallelunga of 1963 powered by a Ford 1600cc engine sourced from the Cortina/Taunus model. The car had a lightweight chassis and a fibreglass body with only 58 built for road and race purposes. For a first car, it was a stunner! Ford became a very strong partner supplying not only engines but later a dealer network in the US. The engine deal that De Tomaso cut with Ford meant a good supply of units, so the Ford Cortina GT De Tomaso was born purely for they Italian market! It is believed that only 8 or so were produced with Mk1 and Mk2 bodies. The motors were tuned to give 20 extra horses – 105hp – by adding new cams and twin carburettors. In 2016, an immaculate one-family owned example came up for auction having spent it’s whole life in the South of France. The next car, the Mangusta, first shown in 1966 replaced the European sourced Ford engine in the Vallelunga with a US based 4.7 litre V8 to target the US market. The prolific designer Guigiaro (then at Ghia) was commissioned to provide a design and like many he delivered, it was another beauty. The story goes that the car was deliberately named because it means Mongoose, an animal that can kill a Cobra…. 400 were produced, starting with the 4.7 litre and ending with a 4.9 litre Ford V8. The car had gull-wing doors over the rear mounted engine and looks great in black. 150 stayed in Europe, the rest went mostly to the US. The Mangusta was replaced with the most well known model, the Pantera, also fitted with a Ford 351 V8 but now sold through Ford’s Lincoln and Mercury dealers in America. Tom Tjaarda designed the car whilst at Ghia – Tom also designed several Ferrari models including the 330 and 365. Sadly the oil crises of 1973 did a lot of damage to the sales of the Pantera and ultimately the Ford relationship. The Pantera continued to be built in Italy through to the early 80s as a low volume sports car competing against Ferrari and Lamborghini and then the GT5 and GT5-S versions were launched. These models had bigger everything and were given even more conspicuous bodywork! 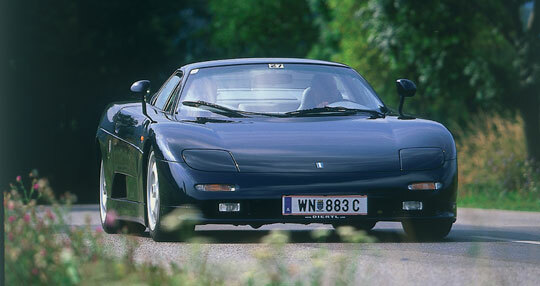 Production numbers were shrinking all the time and only a handful of the last Pantera – the 90i were built. Then came the Guarà in 1993 – a race car based on a Maserati design but converted to road use with firstly BMW X5 mechanics and then Ford V8s. The cars continued to be built and sold even after De Tomaso had died in 93 and the company, now run by his son, was in liquidation. In fact the last model was developed in conjunction with Qvale, who had been building cars for the liquidated company. They took the design and called it the Mangusta (after the earlier model) and this car eventually was badged as an MG SV after MG acquired the rights to the design! Despite having 3 different brand names it didn’t save the car! Other well known cars with the De Tomaso badge include the Longchamp, a 2+2 coupe and the Deauville, a 4 door saloon trying to compete with the Jaguar XJ6. The Longchamp was used as the basis for the Maserati Kyalami! Both De Tomaso models used the Ford V8 seen in the Pantera although the Kyalami replaced it with a Maserati 4.2 litre V8. 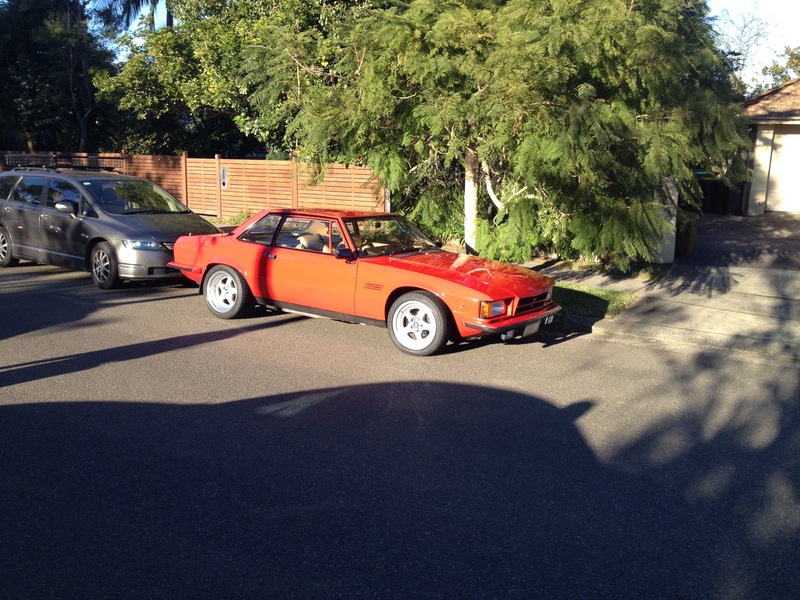 De Tomaso Longchamp (sister to the Maserati Kyalami). A little known fact about De Tomaso was his relationship with Daihatsu and he built a sports version of the tiny Charade for them in Italy although the car was destined for the Japanese market. And the final vehicles were to be off-road cars designed and built for the Russian UAZ company. 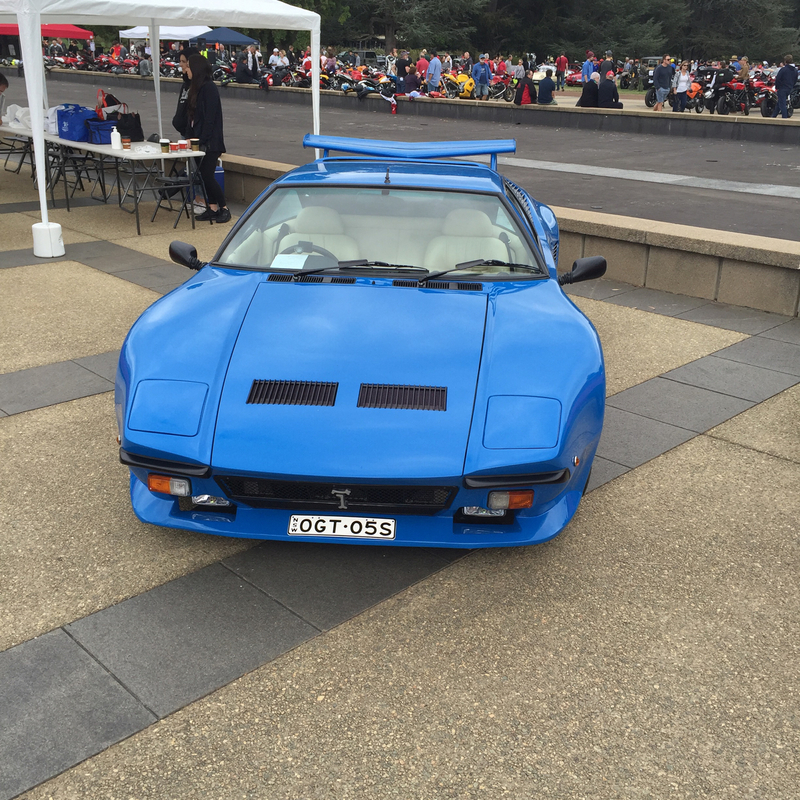 However De Tomaso finally bit the dust and no cars were built. Like several other defunct sports car makers, the De Tomaso name and trademark have been sold several times with ideas to start building cars again. In recent times these have included using old Pininfarina and Delphi factories in Italy to assemble cars with bodies manufactured in other places. First Published: 2nd April 2015. Last Updated: 27th March 2018.